CHAMPAIGN, Ill. —A search committee established to find the Carle Illinois College of Medicine’s inaugural dean will begin its work this month with the goal of naming the dean by spring 2016. The committee’s 17 members include seven each for Carle Health System and the University of Illinois, and three external members including a local health care community leader. The founding dean also will serve as chief academic officer for Carle. The committee is charged with all aspects of the search, including development of the appropriate job description, overseeing recruitment and the selection process. Committee members were selected based on their depth of expertise in their respective fields; their leadership at Carle, Illinois and the community at large; and their experience with similar searches. Significant progress is being made in other areas for the Carle Illinois College of Medicine (COM). 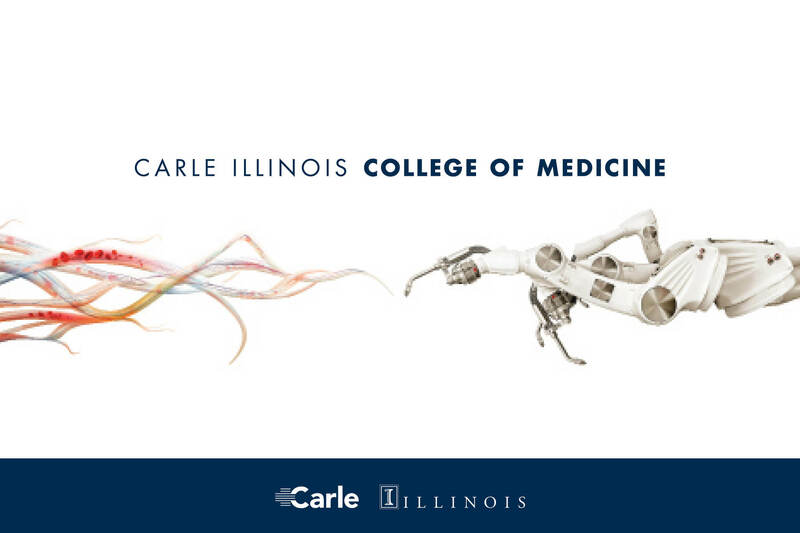 A committee of Carle physicians and Illinois faculty will be formed this fall to develop an innovative and translational curriculum befitting the first college of medicine in the world to be focused from the start at the intersection of medicine, engineering, biological sciences, technology and big data. A joint national search will begin for a COM chief planner who will focus on accreditation and provide planning guidance prior to enrollment of the first class. A joint search will begin for a physician educator who will develop the clinical teaching structure and advance the culture of teaching at Carle. A research affiliation agreement that governs joint U. of I. and Carle research will be finalized later this fall. It will focus on fostering joint research – particularly translational research – and on facilitating activities that encourage the growth of research funding from the National Institutes of Health, other federal agencies, foundations and corporate sponsors. This agreement will include all Carle and U. of I. joint research.